The Australian Accounting Standards Board’s proposed change to the way Not for Profits recognise income in financial reporting is not intended to be a burden on small charities, writes AASB Chair, Kris Peach. The AASB is responsible for developing, issuing and maintaining Australian accounting standards and further to Pro Bono Australia’s recent news article “Reporting Change a Big Burden for Small Charities” the AASB would like to clarify some issues. We've heard from charities and other Not for Profits that the income recognition model in the current accounting standard AASB 1004 Contributions is flawed and results in most grants being recognised as income immediately, regardless of any terms or conditions that are attached. This often doesn't reflect the operational reality of the grant agreement. The AASB released Exposure Draft (ED) 260 earlier this year, which aims to achieve better matching of the income and expenses of Not for Profits, such as that from grants and donations. The proposed response in ED 260 Income of Not for Profit Entities will allow income from grants to be deferred where performance obligations exist. The absence of performance obligations would see immediate recognition of income. However, it has been suggested that the draft would be far too costly and technical for many smaller NFPs and charities to administer. As with all new accounting standards there will be implementation costs. Once entities have established initial processes, identifying performance obligations on an ongoing basis should be relatively straight forward unless the funding arrangements change. If grant conditions require the NFP to undertake specified activities or return the funds if not used in that manner, then income may be deferred until the activities are completed. Some NFPs with more complicated arrangements will require more analysis. At recent AASB public roundtable meetings, participants agreed that the AASB should proceed with finalising the proposals in the ED, notwithstanding some disagreed with certain details. ED 260 attracted 33 comment letters and most were supportive of the ED proposal to remove the current income recognition model in AASB 1004. These comment letters were read by the Board and are available from the AASB website. The AASB has commenced its redeliberations on ED 260 and publicly considers the views expressed by all constituents. We welcome feedback on these deliberations. The AASB's key financial reporting framework project involves working with regulators, including the ACNC, to consider whether current criteria and thresholds for publicly lodging financial statements are appropriate, and whether additional tiers of reporting are required. Those interested in being involved or receiving updates on this project, please contact Clark Anstis, Senior Project Manager. The AASB will be hosting a number of free Education Sessions and Roundtables to engage with constituents on the recently issued Exposure Draft (ED) 270 Reporting Service Performance Information. About the author: Kris Peach is the Chair of the AASB. 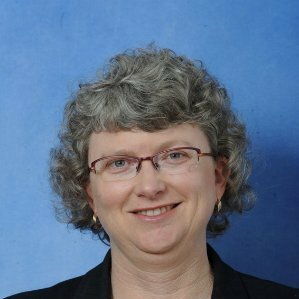 She was previously a partner in KPMG’s International Standards Group and Australia’s Department of Professional Practice, interpreting complex technical accounting issues for a wide range of public and private entities. She also had a number of international financial reporting leadership roles within the firm.